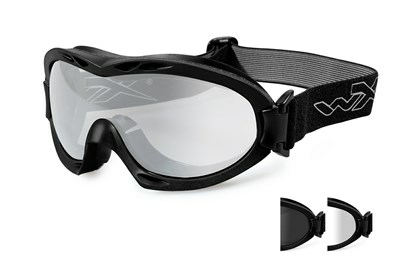 Compact ballistic goggle with a matte black frame. The tactical strap has Tri-Glide™ System to adjust length and quick release key connections. Two lens packages which includes a Smoke Grey and Clear lens and makes it easy to switch lenses in the field to adapt to changing environments, tactical situations and light conditions. Compatible with the Wiley X ARC Rail Attachment System (RAS) which provides you the secure comfortable fit when using your tactical helmet. 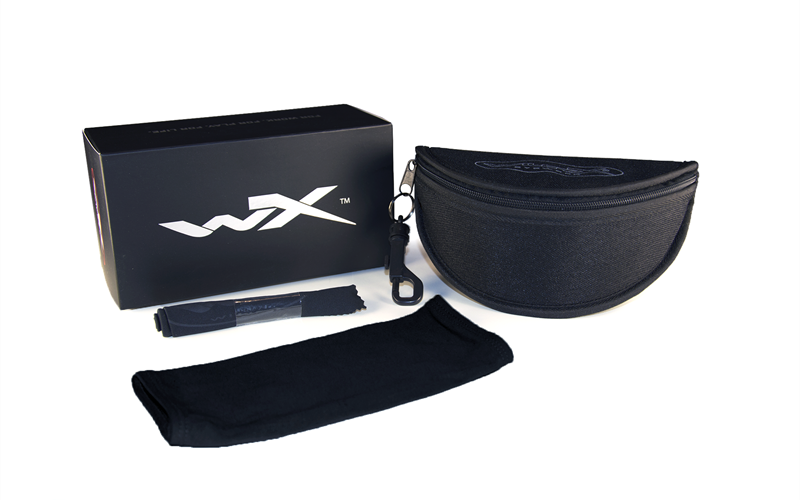 The Wiley X RAS gives you the stability you need when using a goggle without risking the goggle strap to slide of the back of the helmet.